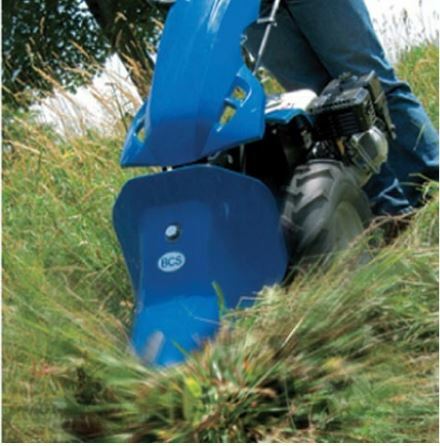 The Sickle (cutter) Bar Mower is original to the BCS brand, and it’s also one of the most popular attachments. Ideal for many different tasks, the Sickle Bar is designed to slice material at its base to leave the cut material in tact. This means there’s no flying debris, thrown stones or excessive mulch. 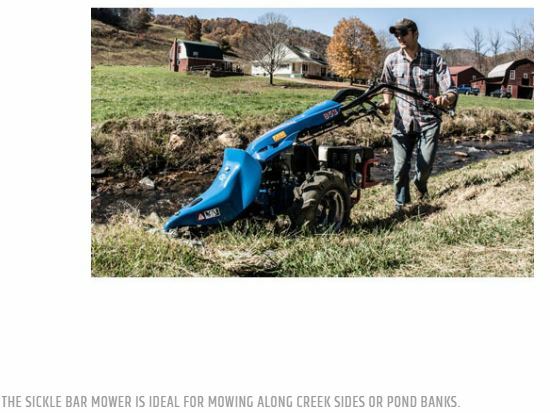 The height-adjustable sickle bar is much wider than the wheelbase, so you can easily trim along slopes, ponds, under fences, and other low-clearance places you wouldn’t dare take a traditional mower. 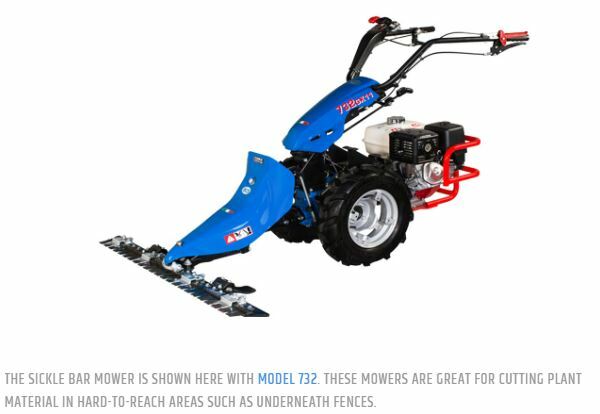 They can also be used for forage harvesting, most notably hay. 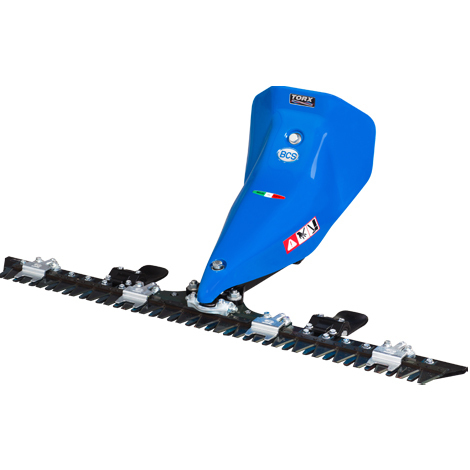 The Duplex Sickle Mower is also available for double action—simultaneous separate blade assemblies that move in equal and opposite directions for lesser vibration and better performance. 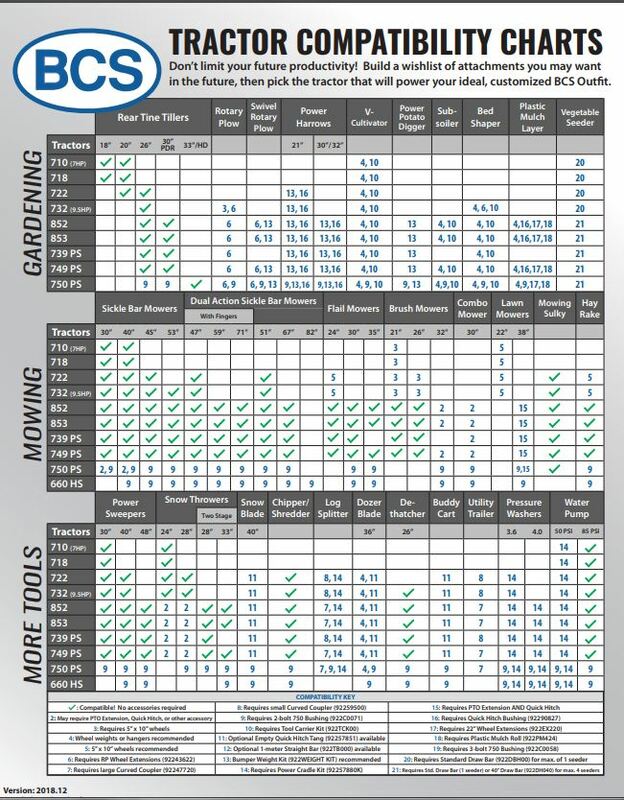 Bar widths range from 30″ to 53″. Cut saplings up to 1.5” thick.